The popularity of Star Trek Beyond has basically guaranteed mainstream fandom for a franchise that was once considered geeky and alternative — now, we can even wear our trekkie status on our nails! What’s also great is that the stars have used their larger platform to speak up about issues that are important to them, like Zoe Saldana’s struggle with an autoimmune disease. While things are a little bit better now on TV concerning diversity (though if the bar was so low before, how can you go anywhere but up? ), there are still many in Hollywood who tooootally should be getting more work. Lucy Liu and John Cho are well-known names now — here’s hoping that Hollywood gives the following Asian actors more face-time onscreen. She is hilarious on Fresh Off the Boat and has been very vocal about the white-washing that happens in Hollywood. Wu is talented and beautiful — this should be a no-brainer. Yuen is notable not only for playing a main character for The Walking Dead, but for being one of the few onscreen love interests in Hollywood played by an Asian male. This may sound ridiculous, but since Asian men are often desexualized in mainstream American media, Yuen’s portrayal of Glenn as a total badass who is considered hot AF is actually groundbreaking. It shouldn’t be though. But first, we need to see him in more stuff. This Queens native has a versatility that is showcased on his IMDB page — a stint on Broad City, an arc on Younger and a role in Wolves, the basketball drama starring Carla Gugino and Michael Shannon which opened earlier this year. Fingers crossed we see more of him. Are we including South Asians on this list? Yes we are, because representation is important. Also, because Rahul Kohli from iZombie is a handsome human being who needs to be on TV more. You might recognize her by her brief appearance at the end of Ant-Man, but many are more likely to know her from her YouTube fame. Akana is a real self-made star, and her witty and sometimes poignant videos have reached more than 1.5 million subscribers. This woman is goals when it comes to her red carpet style and her classic updos. But Chopra was already a huge star in India before Quantico gave her fame stateside. Another actor who is more appreciated outside the US, Henney will hopefully get more recognition now that he is a series regular of a Criminal Minds spin-off, Beyond Borders. Luckily for us, this Heroes alum has been working steadily since the series ended in 2010, chalking up arcs in Covert Affairs and Beauty and the Beast. Star Trek has lived long and prospered for studio home Paramount, spawning six TV series and 13 feature films. True to its title, the latest big-screen outing, Star Trek Beyond, has gone where none have gone before: Star John Cho — who assumes the Sulu mantle for the third time in the reboots — has told Australia’s Herald Sun that the character is revealed to be gay. The idea came from Simon Pegg, who plays Scotty in the new films and penned the Beyond screenplay, and director Justin Lin, both of whom wanted to pay homage to Takei’s legacy as both a sci-fi icon and beloved LGBT activist. And so a scene was written into the new film, very matter-of-fact, in which Sulu is pictured with a male spouse raising their infant child. Pegg and Lin assumed, reasonably, that Takei would be overjoyed at the development — a manifestation of that conversation with Roddenberry in his swimming pool so many years ago. Takei explains that Roddenberry was exhaustive in conceiving his Star Trek characters. (The name Sulu, for example, was based on the Sulu Sea off the coast of the Philippines, so as to render his Asian nationality indeterminate.) And Roddenberry had always envisioned Sulu as heterosexual. Proving that is not so simple a matter, however. Sulu never had an onscreen love interest duringStar Trek‘s initial three-season run. He did mention a daughter, Demora, who appeared in 1994’s Star Trek Generations, the seventh film in the series (she was played by Jacqueline Kim). His timeline logic, however, is enough to befuddle even the most diehard of Trek enthusiasts, as the rebooted trilogy takes place before the action of the original series. In other words, assuming canon orthodoxy, this storyline suggest Sulu would have had to have first been gay and married, only to then go into the closet years later. Not long after Cho’s bombshell call came another, this one from Lin, again informing him that Sulu was indeed to be gay in Star Trek Beyond. Takei remained steadfastly opposed to the decision. “I said, ‘This movie is going to be coming out on the 50th anniversary of Star Trek, the 50th anniversary of paying tribute to Gene Roddenberry, the man whose vision it was carried us through half a century. Honor him and create a new character. I urged them. He left me feeling that that was going to happen,” Takei says. After that, all was quiet from Beyond until a few months ago, when Takei received an email from Pegg “praising me for my advocacy for the LGBT movement and for my pride in Star Trek,” he says. “And I thought to myself, ‘How wonderful! It’s a fan letter from Simon Pegg. Justin had talked to him!’” Takei was certain the creative team had rethought their decision to make Sulu gay. That is until one month ago, when he received an email from Cho informing him that the actor was about to embark on an international media tour for Beyond. Cho said it was bound to come out that his character was gay, and “what should he do?” A disappointed Takei told Cho to go about his promotional duties, but that he was “not going to change” his mind on the matter. Takei for his part is hoping to take Sulu in new directions as well, potentially on CBS’ upcomingStar Trek series, slated to premiere in January and co-run by Alex Kurtzman and Bryan Fuller, who is openly gay. “Star Trek Beyond,” the latest of the “Star Trek” movies, will show Hikaru Sulu with a husband and a daughter, according to a report by Australia-based Herald Sun newspaper. John Cho, who plays Sulu in the rebooted “Star Trek” movies, told the newspaper that that the decision to reveal Sulu as gay was made by film writer Simon Pegg and director Justin Lin. “I liked the approach, which was not to make a big thing out it, which is where I hope we are going as a species, to not politicize one’s personal orientations,” he told the newspaper. He also told the Herald Sun that the decision was a nod to George Takei, who played Sulu in the original 1966 “Star Trek” television series. Takei and his now-husband, Brad Altman, have been together for 29 years. 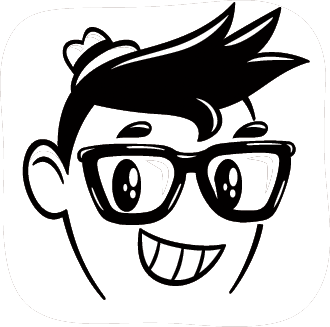 Sulu will be the first LGBTQ main character in the franchise, which is known for breaking boundaries. The original TV series famously featured American television’s first interracial on-screen kiss in 1968, only a year after anti-miscegenation laws were ruled unconstitutional by the Supreme Court. The Academy of Motion Picture Arts & Sciences apologized on Tuesday for the Asian jokes on the Feb. 28 Oscar telecast, after receiving a protest letter signed by 25 AMPAS members, including Ang Lee. ORIGINAL POST: Two dozen members of the Academy of Motion Picture Arts & Sciences, including Ang Lee and several other Oscar winners, have asked the AMPAS board for “concrete steps” to ensure that future Oscarcasts will avoid the “tone-deaf approach” to Asians that was exhibited in the Feb. 28 ceremony. The protest was delivered in advance of Tuesday’s board meeting, where diversity promises to be a key item on the agenda. The missive was sent to the board, AMPAS President Cheryl Boone Isaacs, CEO Dawn Hudson, and ceremony producers Reginald Hudlin and David Hill. The letter said, “We are writing as Academy members of Asian descent to express our complete surprise and disappointment with the targeting of Asians at the 88th Oscars telecast and its perpetuation of racist stereotypes. In light of criticism over #OscarsSoWhite, we were hopeful that the telecast would provide the Academy a way forward and the chance to present a spectacular example of inclusion and diversity. Instead, the Oscars show was marred by a tone-deaf approach to its portrayal of Asians. “We’d like to know how such tasteless and offensive skits could have happened and what process you have in place to preclude such unconscious or outright bias and racism toward any group in future Oscars telecasts. We look forward to hearing from you about this matter and about the concrete steps to ensure that all people are portrayed with dignity and respect. In addition to Lee, other Oscar winners on the list include Chris Tashima (shorts and feature animation) and four members of the documentary branch: Ruby Yang, Steven Okazaki, Jessica Yu, and Freida Lee Mock. Aside from Mock, two other former governors signed, Don Hall (sound branch) and Arthur Dong (documentaries). Another three signers were Oscar nominees: Christine Choy, Renee Tajima-Pena, and Rithy Panh, again all docu-branch members. Other signers were Yung Chang, documentary; Maysie Hoy and William Hoy, editors; Marcus Hu and Teddy Zee, executives; Janet Yang, producers; David Magdael and Laura Kim, PR; and six members of the actors branch: Nancy Kwan, Peter Kwong, Jodi Long, France Nuyen, Sandra Oh, and George Takei. According to the International Energy Agency, Asians represent 4.3 billion, or 60% of the population. However, they are estimated to represent less than 1% of the Academy. Sources close to the show told Variety that Chris Rock made decisions about his material (including a series of jokes about Asian children), while Sacha Baron Cohen’s crack was apparently ad-libbed. However, at a time of heightened sensitivity with racial matters, many viewers were shocked that old Asian stereotypes were trotted out for a laugh. Republican presidential hopeful Donald Trump is set to host Saturday Night Live next month, a move that has left many people outraged. Comedian Margaret Cho joined the foray, slamming producers for inviting a “known racist” to participate while failing for decades to promote true racial equality. Cho went on to suggest herself as a musical guest and Ken Jeong and George Takei as potential hosts. Actor George Takei is working his social media magic for a good cause and for his legacy project. He launched an Indie Go Go campaign this weekend to support his Broadway production of Allegiance, the story of a Japanese American family ripped apart by the loyalty questions asked while they were incarcerated in World War II. Takei’s goal is to raise $250,000 and in just two days, he’s already raised nearly $70,000. “As an actor and an activist, it has been my life’s mission to tell the incredible story of the thousands of families who endured the Japanese American Internment during World War II. The upcoming Broadway musical Allegiance and the Japanese American National Museum (JANM) are the intersection of my art and activism. Inspired by my life experiences and those of internees like me, the show celebrates the triumph of the human spirit in the face of adversity. I consider it my Legacy Project, and I’ve come up with a way for the JANM to be a part of it. But I need your help. Allegiance opens on Broadway with previews in October before its official opening on November 8 at the Longacre Theatre. 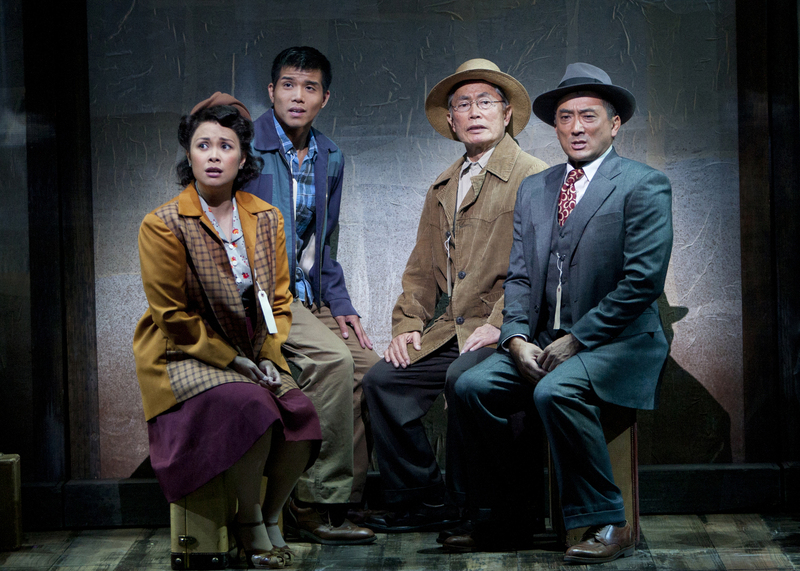 You can read George’s entire story of Allegiance, see a video which includes highlights from Allegiance’srecord breaking run at the Old Globe Theater in San Diego and give to the campaign at Indie Go Go.